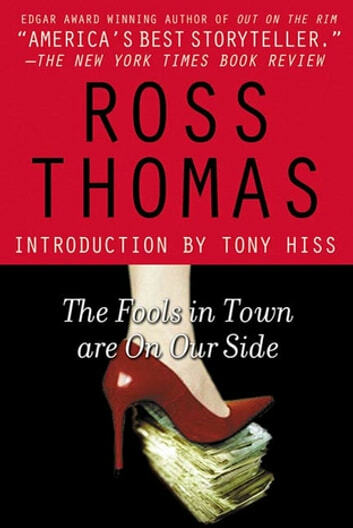 Ross Thomas chose the quotation from Huckleberry Finn as the text of his post World War II story as well as for the title. When Lucifer Dye is released from three months in a Hong Kong prison, debriefed, handed a false passport, a new wardrobe and a $20,000 check, his haughty control makes it clear that Dye's career with his country has been permanently terminated. But a good agent is always in demand, and just a few hours later Dye is being interviewed for a highly ingenious position. Victor Orcutt, although a not very good imitation of a British pre-war gent, has creative talents of his own. He has his sights a small southern city, with the ordinary run-of-the-mill corruption one would expect in such a place. The canny Orcott knows there's no profit in that . His creed is "To get better, it must be much worse." He and his two associates have looked up Dye's history, and he now offers the ex-spy's a mission. For two and a half times the government's bounty, Dye is to thoroughly corrupt the town. And the sly Dye takes the offer.